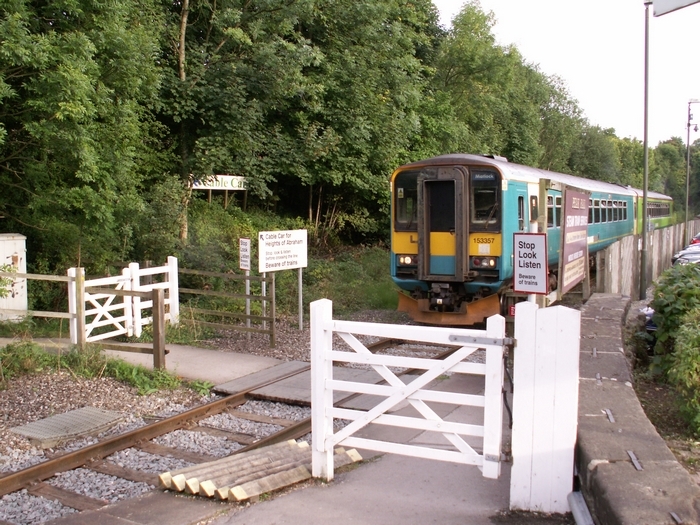 Opened by the Manchester, Buxton, Matlock and Midlands Junction Railway in 1849 (later to come under the Midland Railway), the Ambergate to Rowsley section looked at here was only part of a line that continued, as the name of its founding company suggested, through Buxton to Manchester and provided a good through route from the Midlands and Derby to the industrial North of England. 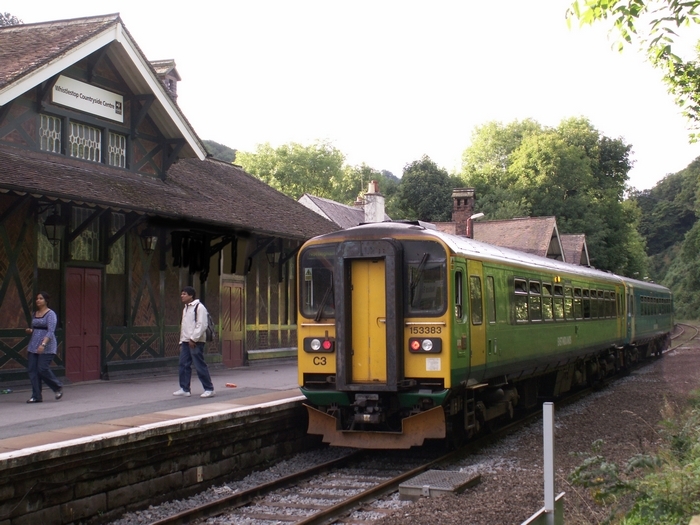 Unfortunately, as did many branch lines, the route was truncated following the Beeching Report in 1968 when it was closed beyond Matlock and the remaining track singled. 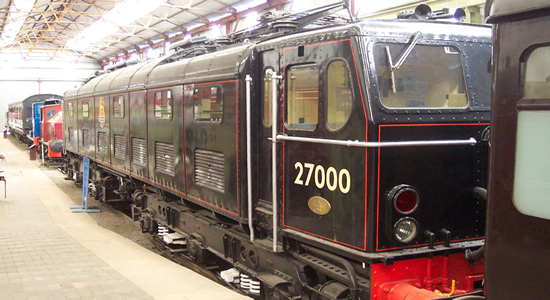 However, the heritage Peak Rail operate steam services from Matlock to Rowsley, via Darley Dale station, so the full route from Ambergate to Rowsley is once again navigable by rail! 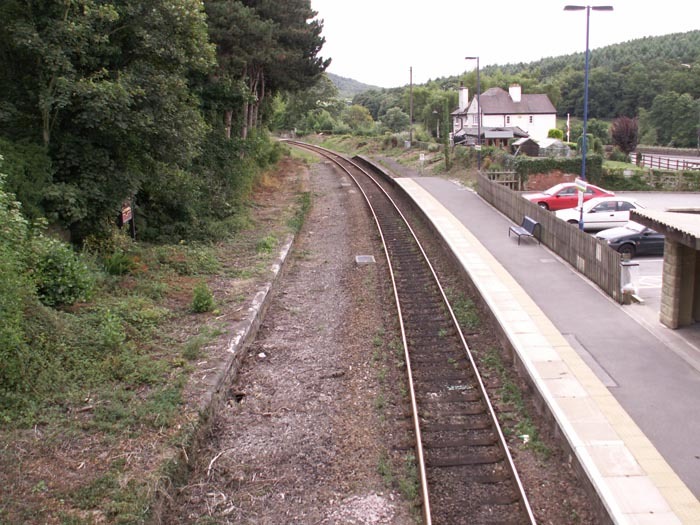 To say Ambergate station today is a disappointment would be an understatement! 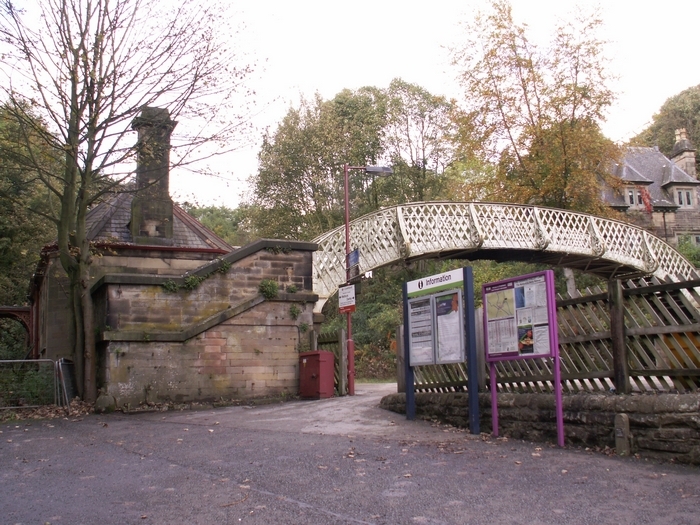 Opening as 'Amber Gate' under the North Midland Railway in 1840 on their line from Derby to Leeds, Ambergate station (as it was renamed in 1846), has moved location several times during its early life to accommodate the opening of the line through to Romsley which opened in 1849 and a reworking of the junction in 1863. 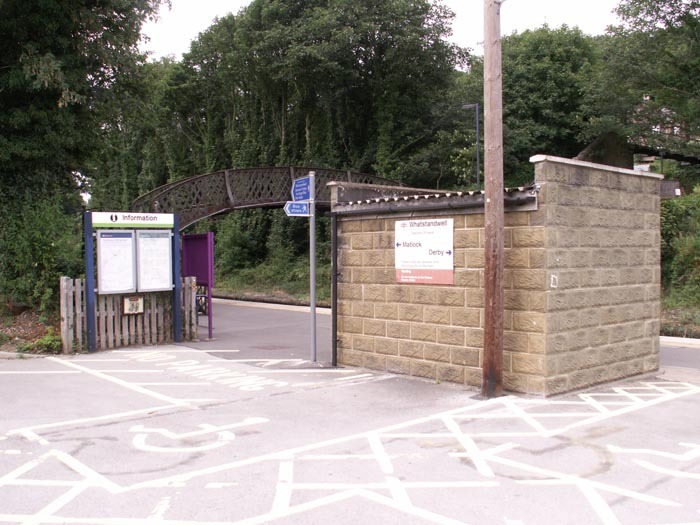 However, whilst once straddling Ambergate Junction with platforms serving both the main line and the Romsley Branch and enjoying considerable facilities and station buildings, today the station is merely an unstaffed halt on the now-singled line up to Matlock. 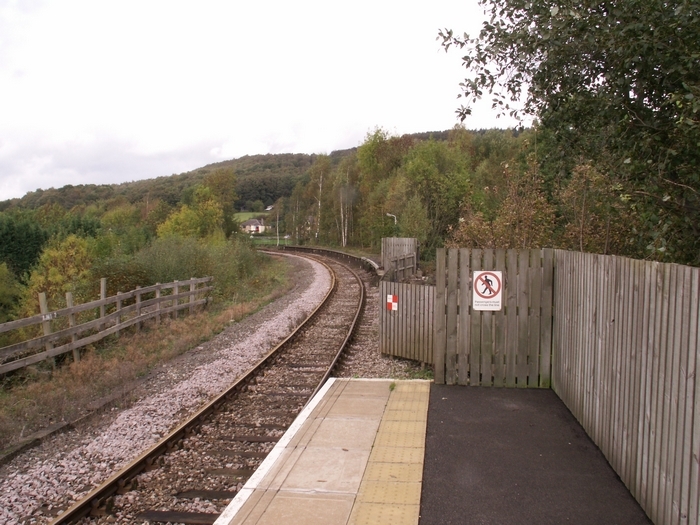 Looking towards Ambergate Junction and the 'old station' site we see the now single wooden platform that serves the line. In this view, from the same spot as the previous photograph, we are looking towards Matlock. 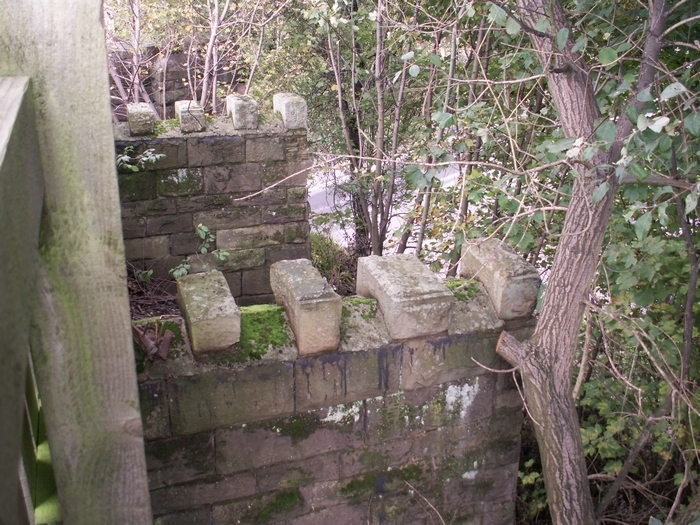 A closer look towards Matlock reveals the original Derby platform is still in situ albeit somewhat truncated. A tell-tale clue as to the shrinkage of the station can be seen here, the now redundant sections of the support piers on Ripley Road. 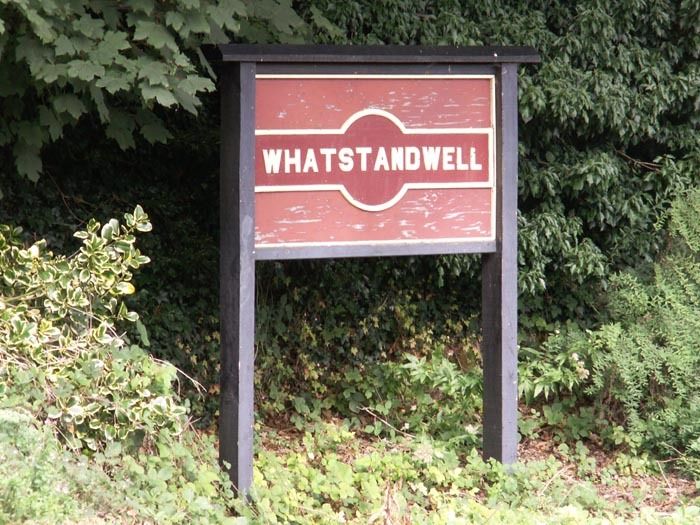 Opening in 1849 as 'Whatstandwell Bridge station', the operational station today was actually built in 1894 a few hundred yards from the site of the original and at which time it becamse simply 'Whatstandwell station'. 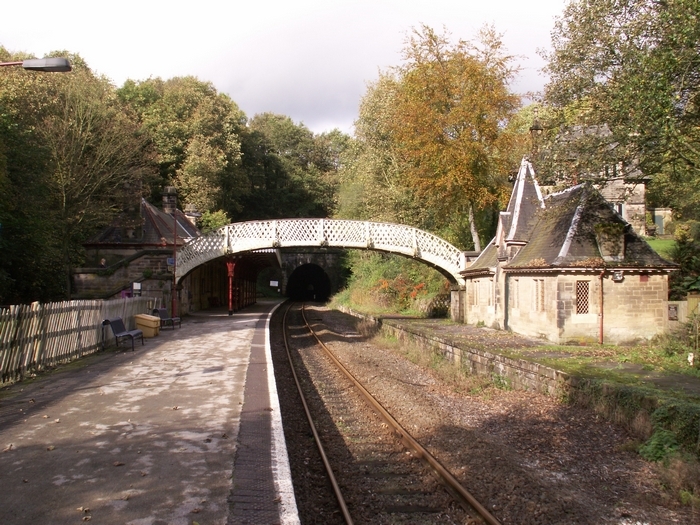 Although the line has since been singled and, of course, lost its original station buildings in favour of becoming and unstaffed halt with a fallout-shelter style waiting room, it has still retained some charm, largely in part to its footbridge and disused platform. 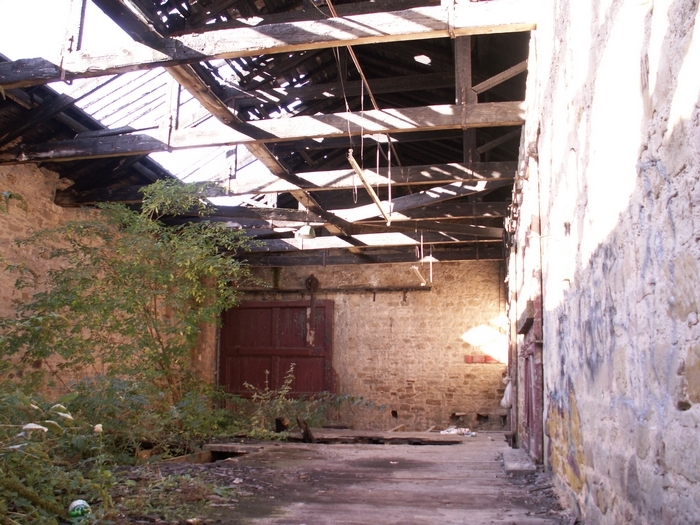 Here we see the inspiring entrance to the station from the car park and the rear of the waiting room. This shot is the reverse view looking back to the car park from the only operational platform. 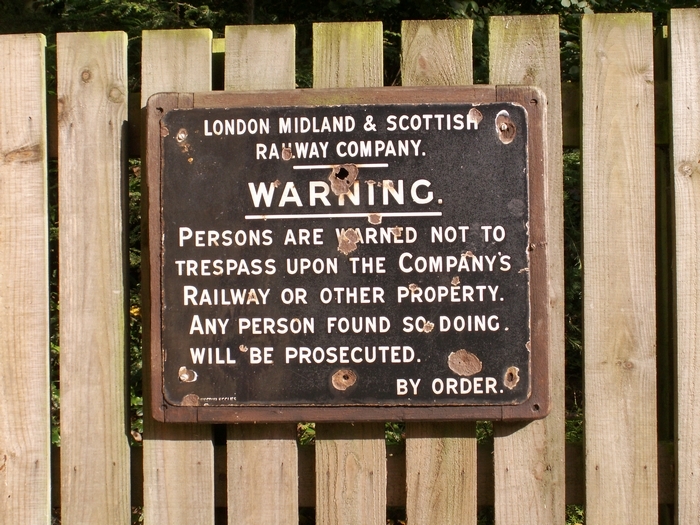 The rather appealing station sign on the now-disused platform. 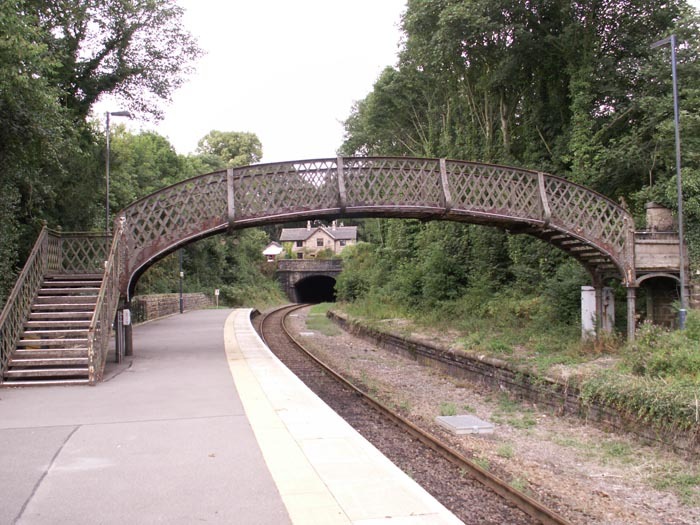 The station footbridge which leads, as far as I could discern, to a higher bridge to the right over the Cromford Canal. 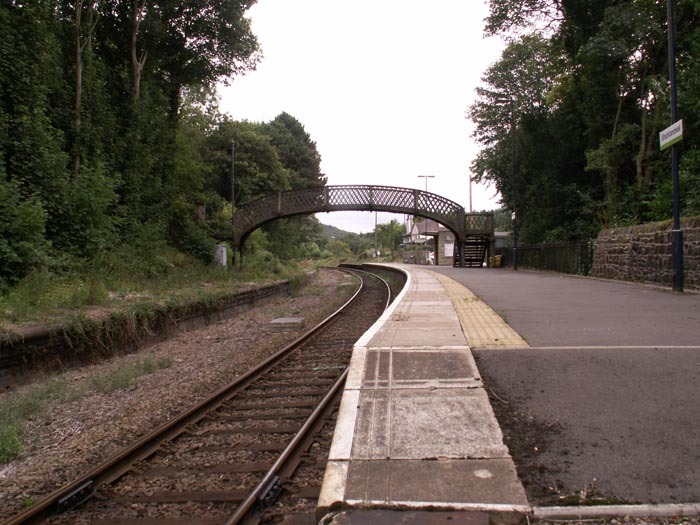 From the footbridge, here we see the station looking towards Cromford and the junction with the Cromford and High Peak Railway (which will be the subject of a future update). 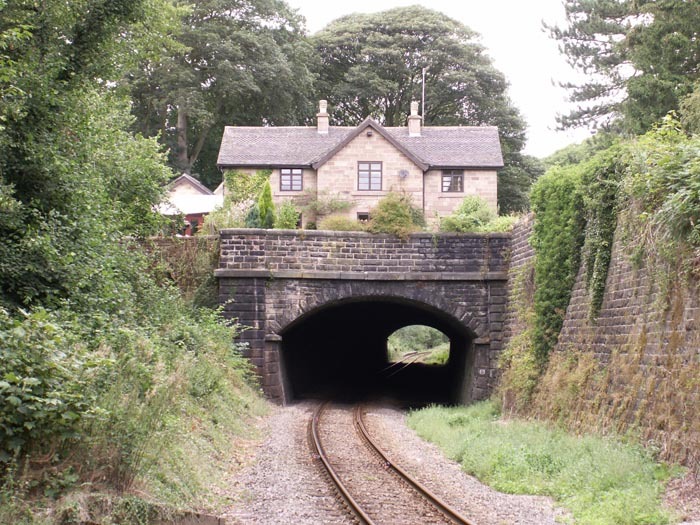 A close-up of the house above the 149 yard Whatstandwell Tunnel. 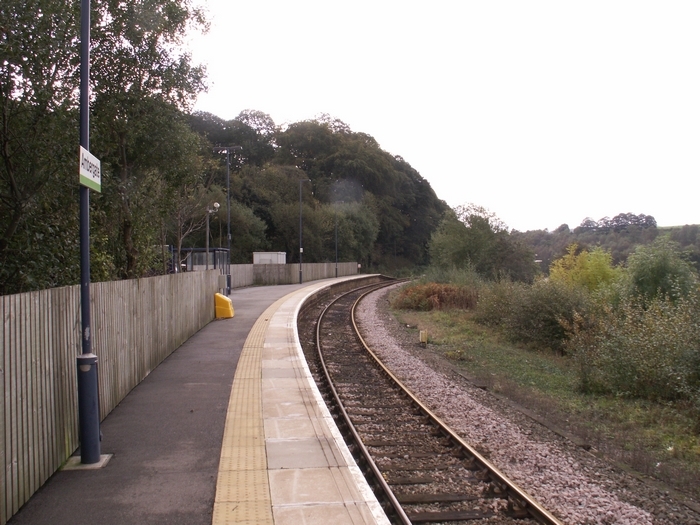 A view of the station from the footbridge looking towards Ambergate. 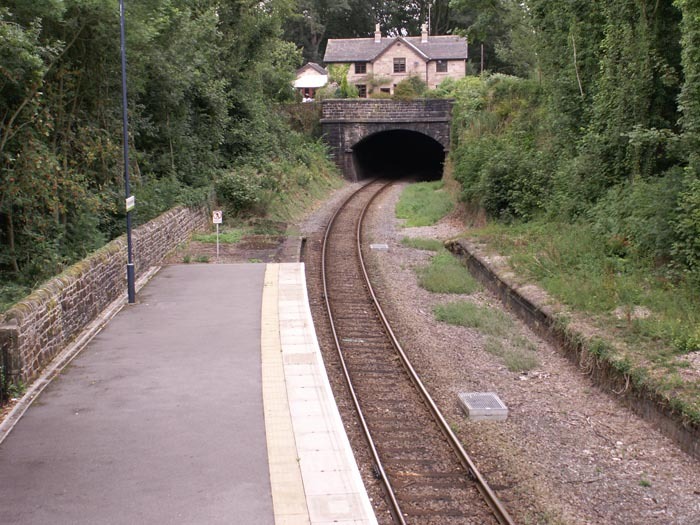 A final shot along the station from the tunnel entrance towards Ambergate. 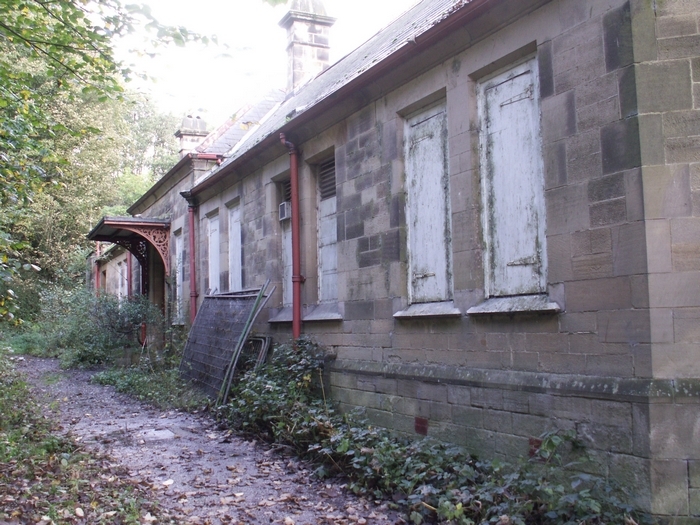 Following my earlier disappointment at Ambergate station I wasn't holding out much hope of finding anything of interest at Cromford: how wrong I was! 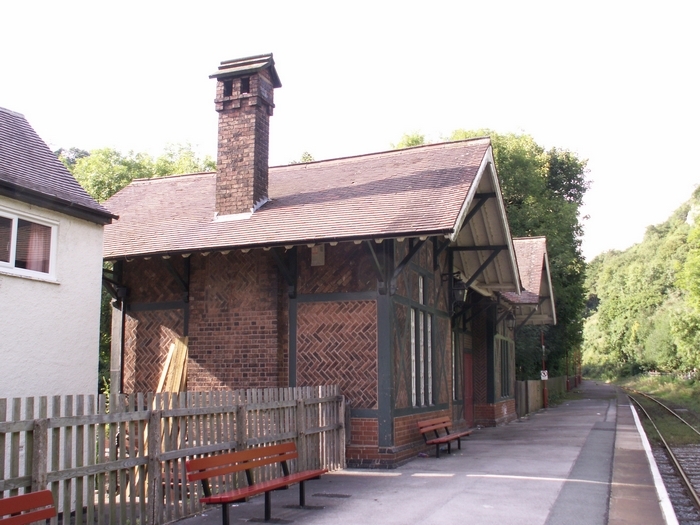 Cromford station was opened as 'Cromford Bridge' by the Manchester, Buxton, Matlock and Midlands Junction Railway in 1849 and has retained much of its charm and buildings, in part due to it obtaining a Grade II listing status, and despite being reduced to an unstaffed halt plans are afoot for a sympathetic restoration program. As you will see, it is an incredibly ornate and well-preserved station that I would definitely recommend visiting. 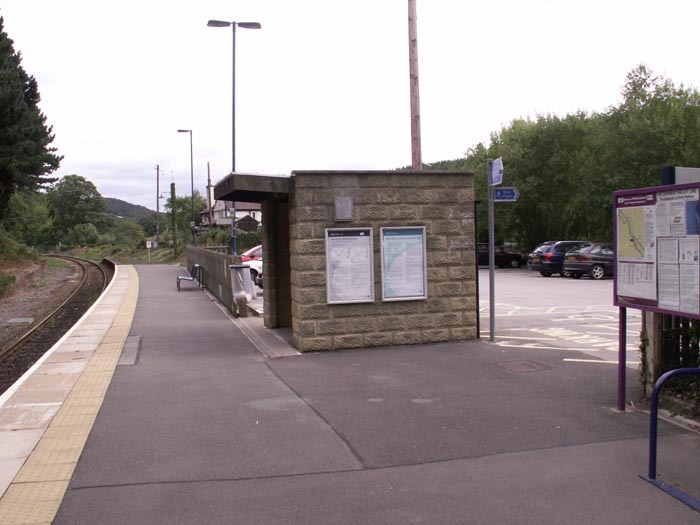 Here we see the entrance to the station and sole operational platform from Lea Road. The very ornate Stationmaster's House can also be seen to the extreme right. 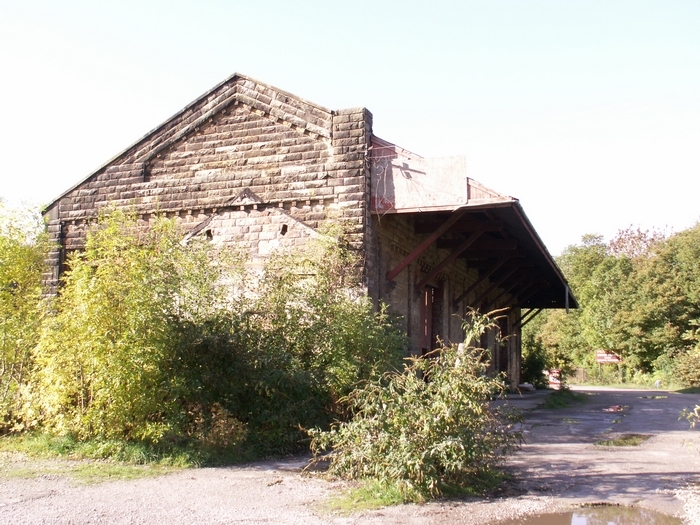 The station building is now disused but in good repair as can be seen here. 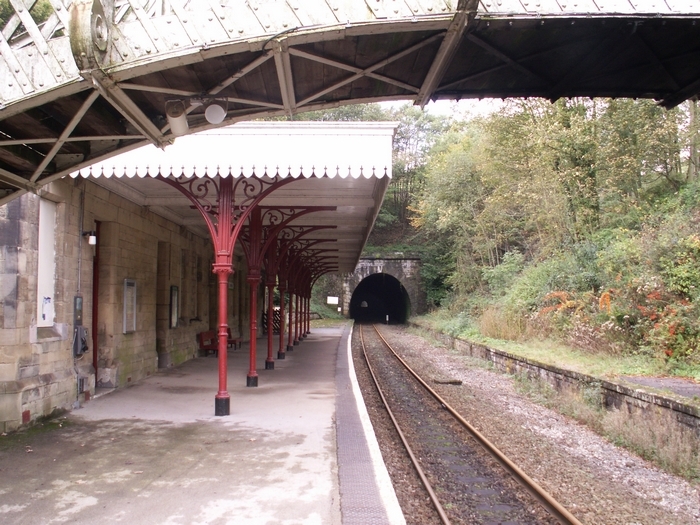 Upon emerging onto the platform we see this view towards Matlock and the 764 yard Willersley Tunnel beyond the platform. Moving to the 'Derby end' of the platform we see the whole station here and one of its most unique attributes, the Derby platform waiting room. The Derby platform waiting room is currently under restoration but is a piece of incredibly stylish railway architecture. To gain a closer look the footbridge is still navigable to the Derby platform but only to serve the privately owned station house: however, despite this and the above warning sign, I couldn't resist a closer look! 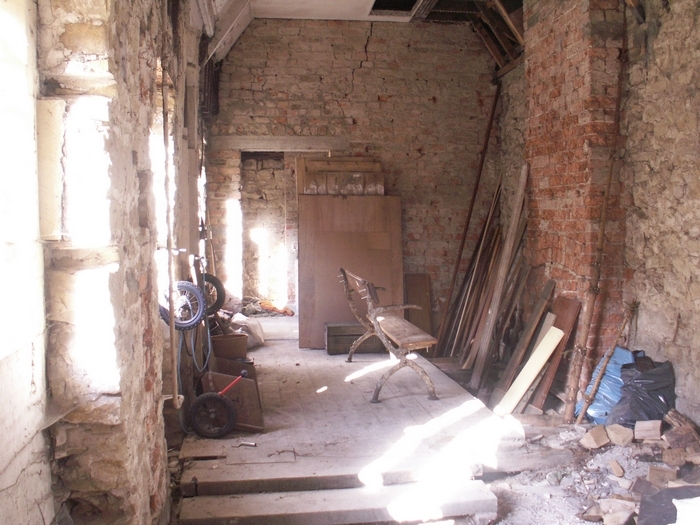 This is the view inside the Derby platform waiting room - restoration work is underway but it was interesting to see the interior in its un restored state as here. Finally, we get the view of a Derby-bound passenger emerging from the waiting room to board their train: all-in-all, what a fantastic time-capsule Cromford station is! 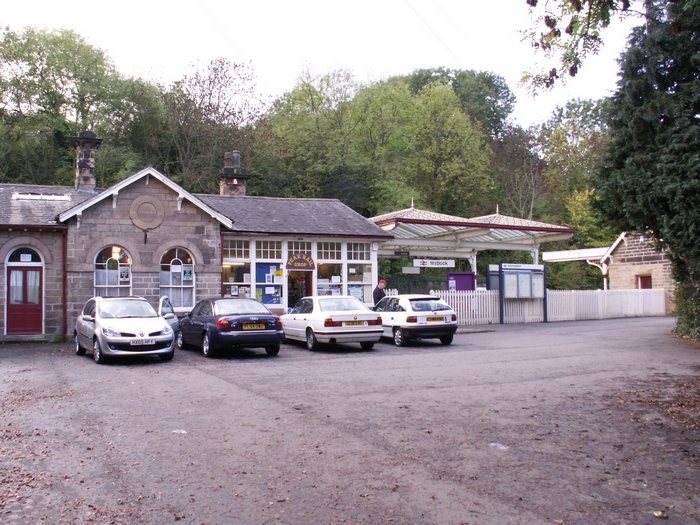 Keeping the theme of ornate and unique stylings along the line, Matlock Bath station was opened in 1849 and, to reflect the 'nickname' of Matlock at the time being 'Little Switzerland', was designed to resemble a Swiss chalet! Despite losing its footbridge (which was of the same style as Cromford) and its Derby platform, the station has managed to retain some charm. Above we see the 'Swiss chalet' station building from the car park. Sadly, the station is unstaffed but at least this hasn't been used as an excuse to knock it down and replace it with a bus shelter . . . yet. 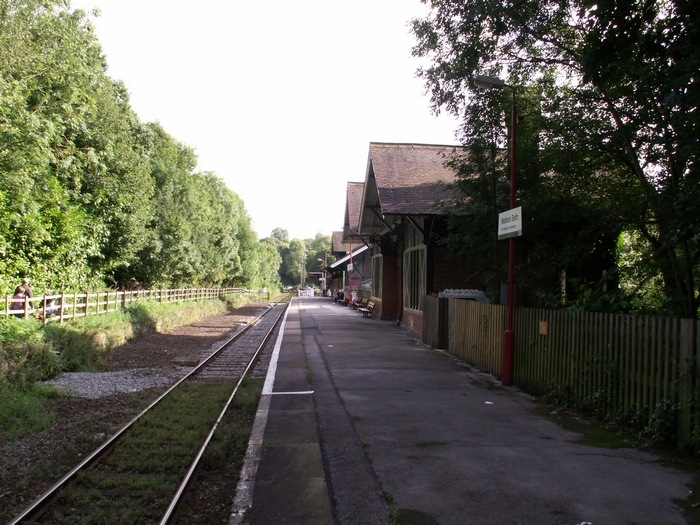 Here we see the track side of the station building looking in the direction of Matlock. Looking towards Derby from the same spot as the previous photograph shows the crossing at the end of the platform as East Midlands Trains' 153357 approaches the station on a Matlock working. Viewed from the disused Derby platform side of the station, we see East Midlands Trains' 153383 at the rear of 153357 about to depart for Matlock. 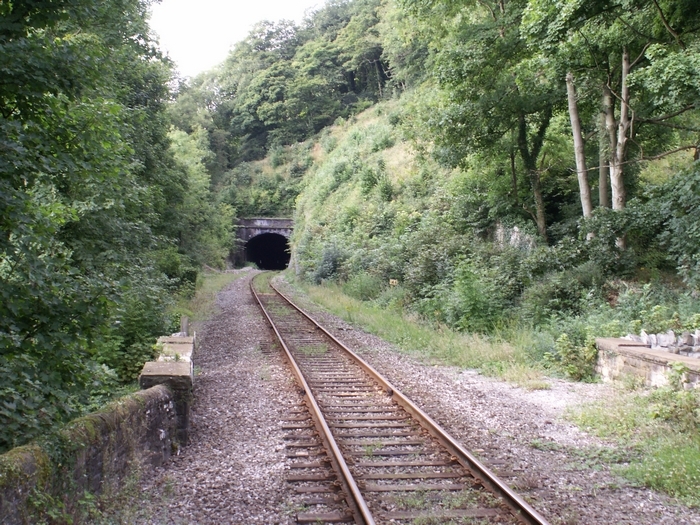 Immediately beyond the station towards Matlock we see the portal of the 321 yard High Tor tunnel. 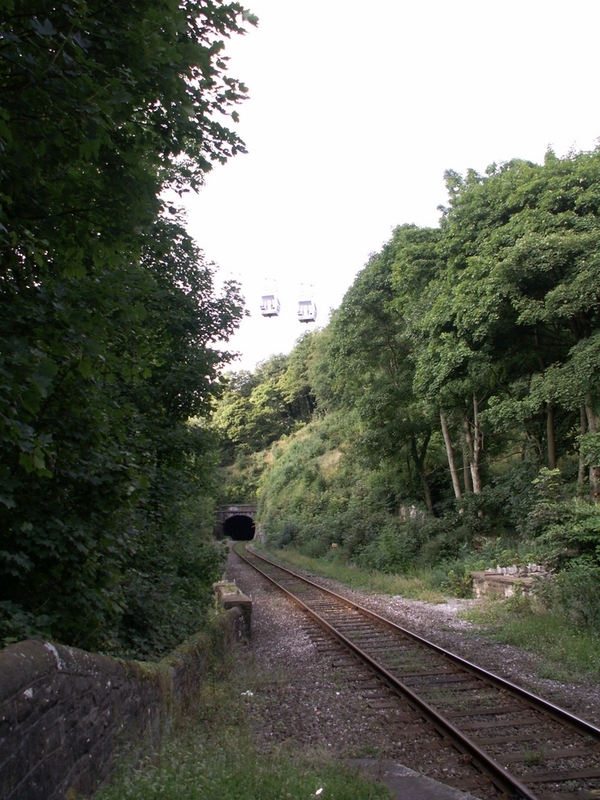 A further view towards High Tor tunnel also reveals, up above, the cable cars climbing the Heights of Abraham. 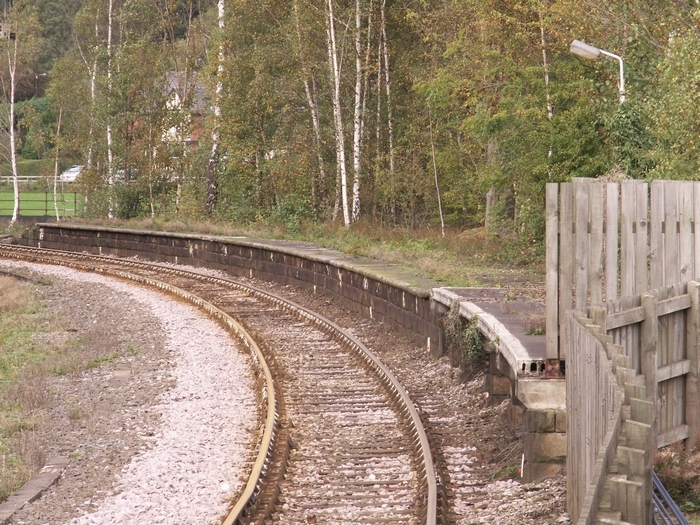 Finally we see the station looking towards Derby with the heavily overgrown and disused Derby platform still in situ to the left. 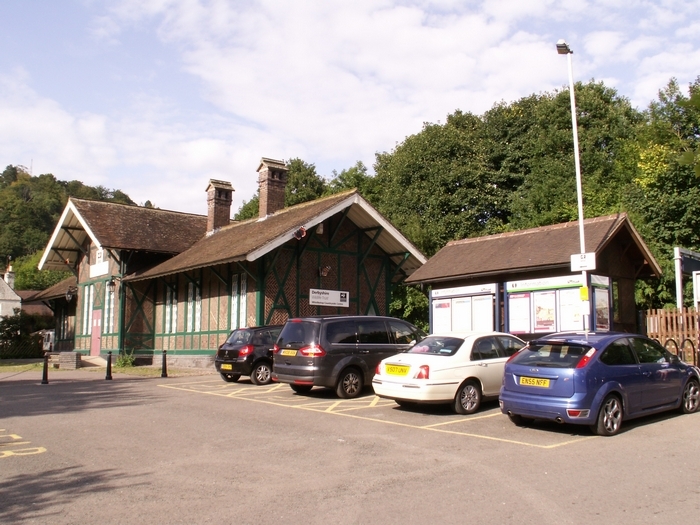 Another fine station containing forgotten gems is now the end of the line for network services is Matlock station. 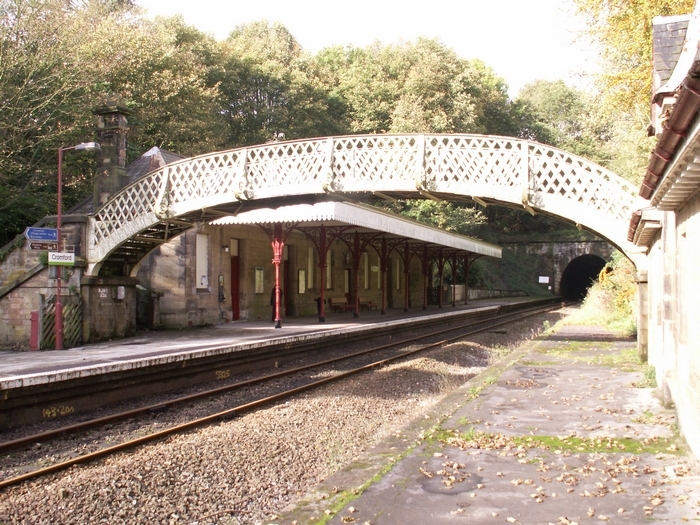 Opening with the line in 1849 as 'Matlock Bridge', as with Cromford station, Matlock station is Grade II listed and as such has maintained its original an air of history about it, despite losing its Derby platform and track when it became the line's terminus in 1968. 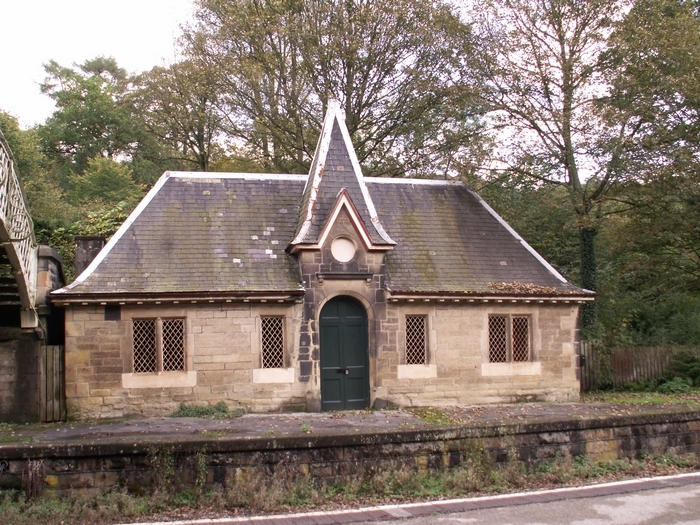 Here we see the booking office, the right-hand side of which is now a shop for the nearby Peak Rail heritage railway that provides a continuation of the route; more of which can be seen Here. 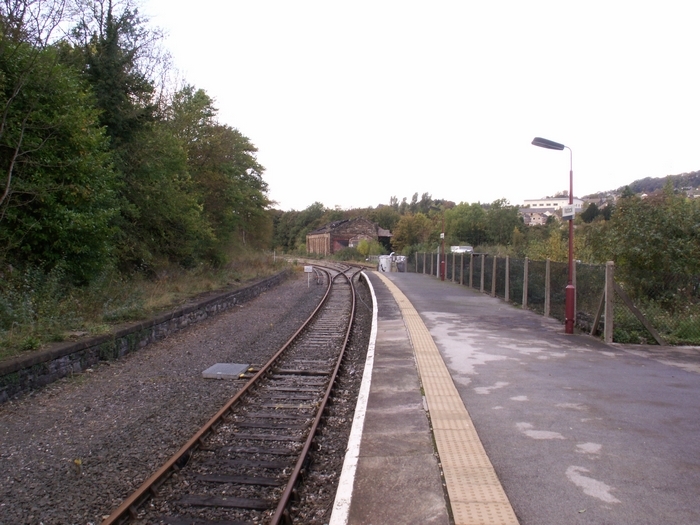 The view here is towards Matlock Bath and Derby with the Rowsley platform now disused and overgrown across the tracks but still in situ. It has been proposed that Peak Rail services enter the station and utilise this platform but this has yet to come to fruition. The view towards Rowsley reveals something that was of considerable interest on my visit in the distance; Matlock goods shed. 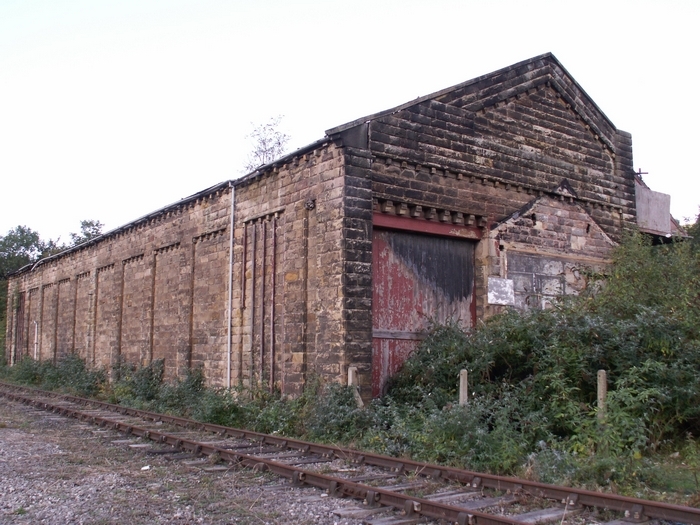 Viewed from the trackbed, the goods shed is an impressive stone structure and, despite a severe internal fire - presumably an arson attack - is still structurally sound. The view from the other side of the shed shows the canopy still in tact providing shelter for the loading bays. Inside the shed we can see that the rolling door is still in place and that, sadly, the roof timbers have been badly destroyed by the aforementioned fire. However, this is a splendid find and well worth a look around.